Field service management (FSM) software helps companies manage the business activities performed by field workers. For many services companies, field work is the most important part of their business, and field service management software can help them manage and optimize these activities. It is primarily used by companies that manufacture industrial products which require on-site services such as deployment and maintenance of equipment, cleaning, repairs, etc. Field service management software is used by managers and supervisors to allocate workers to field tasks and monitor their performance. Employees use it to find information about their tasks, report on their work, and optimize the time and resources allocated for each job. Field service management software usually integrates with software solutions such as GIS software for location tracking; customer relationship management (CRM) software to find information about customers; and product lifecycle management (PLM) software or design software for technical specifications and instructions for maintenance and repairs. Field Service Management reviews by real, verified users. Find unbiased ratings on user satisfaction, features, and price based on the most reviews available anywhere. 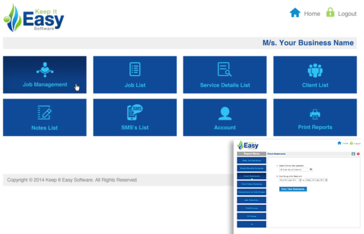 Features include -Schedules, Invoices, Job Booking, SMS feature, Email, Mobile friendly, Cloud Based and more. Keeprop offers a simple way of creating a service request via different channels, web form, mobile app, QR-code scanning, and IoT. 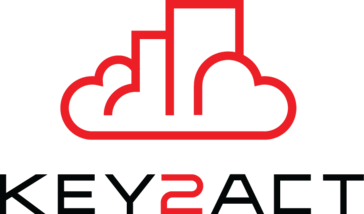 KEY2ACT is the construction and field service technology leader. Based in New Berlin, WI, KEY2ACT combines 20 years of experience serving customers. We are committed to driving innovation focused on specialty trades, facilities maintenance and other large asset or equipment-centric industries. For information on KEY2ACT, visit www.KEY2ACT.COM, or call 1-866-KEY2ACT. Leading field service management technology that enables you to increase productivity and reduce costs through dynamic resource scheduling and mobile workforce management software. 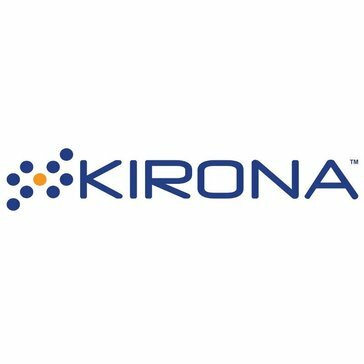 The Kirona Field Workforce Automation solution comprises four key software applications: DRS Dynamic Resource Scheduler, Job Manager, WorkHub and InfoSuite. These four solutions are supplemented with modules including DRS Project Planner, specifically developed to manage complex projects or interdependent cycles of work and products like MobileIron and Threatshield designed to complement their existing security measures with industry-leading enterprise threat management. KloudGin provides Intelligent Field Service Cloud for both “short-cycle” and “long-cycle” work. It is built from the ground up for mobile-first, predictive-first, cloud and sensors. It also provides cloud based Native Mobile Application Development Platform (MADP) which is easy to use, easy to configure, leverages data where it lies, transactional and analytical capabilities, and more. Provides full offline capabilities. Kloudgin Intelligent Field Service Cloud is fully integrated suite of field service management SaaS software solution. It helps companies of all sizes, manage real-time routing & scheduling, dispatching, inventory, shift, agreements, track mileage, time sheet management, turn-by-turn directions, collaboration, Access Plat map and AS-Build all delivered in the cloud to any mobile device natively with seamless OFFLINE capabilities. Less Paper Co. provides 100% custom-build field service and work order management systems to field service businesses. All of our systems are built completely custom to the needs of each of our individual clients to ensure that the final product works how they need it to with the features they want and need. With the Lighthouse 360 app you have full access to your schedule, estimates, jobs and customer data. Now you can close out, update and create new jobs in just a few minutes anytime, from anywhere. Magpi is a mobile data collection system that allows non-programmers to create mobile data collection apps for Android, SMS, iOS, and IVR and easily deploy them worldwide. Maintenance.io is a CMMS that operates in the cloud allowing your data to be safely stored on their servers. There are no additional infrastructure costs and Maintenance.io offers features such as asset management, inventory management, and vendor management. Malinko scheduling software is a software for domiciliary and home care agencies, whether you are providing regular short personal care visits, live-in care or even just home help services. Managemart is Cloud Field Service Management software is a best-in-class solution that can help your business to grow. Invoicing, Estimating, Scheduling, Billing & Routes. MeazureUp is a cloud based software company assisting brands to manage operational consistency. MeazureUp solution helps organizations can gather internal information with detailed analytics and operational intelligence using a digital platform. Right time, Right place, Every time, #befieldsmart mEdge Smart Assistant for Field teams. Medulla Field Services Application are designed to allow technicians and engineers to view their schedule, report on calls and work orders they have, view items and their bill of materials and interact with the mobile device for the best optimized service. MiFieldServices is an All-In-One mobile end-to-end workforce management solution which tracks and displays real-time status of vehicles, jobs and resources in the field. MiFieldServices allows operations leads and engineers to monitor and better assist your crews remotely from your operation centers. MYS specialize in extending QuickBooks and Sage software to offer advanced level field service and job management. MYS is a fully cloud hosted, multi-tenant, access anywhere solution. Mize Field Service Management software enables manufacturers and their service network partners to optimize service delivery, increase technician utilization, and grow service profits. Extend the mobile capabilities of your current IWMS or CAFM system and redefine your mobile workforce strategy. Mobiess provides mobile-focused, independent workforce management solutions to organisations that want to enhance their mobile processes and efficiency. Field Service Management is designed for Service Companies and ensures higher productivity through automation. 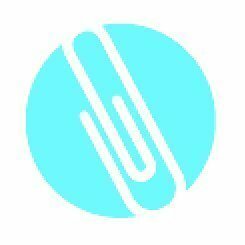 It establishes a paperless workflow and keeps you up to date in real time. Mobility solution for field personnel that provides information on work orders, warranty, inventory, timekeeping, scheduling, and more. Mobile Reach provides easy-to-use mobile apps designed to automate and improve field services for medium and large businesses. Mobile Service (MS) for RSMC (Repair, Service, Maintenance & Construction) is a cloud-based field service management application. With MS, businesses have control over Scheduling & Dispatching, Ticket Management, GPS Tracking, Materials Management, and more. MS is a solution for field technicians to manage tickets, timesheets, route optimization, service history & payment processing directly in the field. mobileX-MIP for Field Service is a mobile software solution for service technicians in the field. Employees receive their orders on the go on their mobile device. Mobilio is a web-based (CLOUD) and mobile software solution used by companies that, provide service in the field and use work (job) orders to keep a record of the transactions. By turning raw GPS data into actionable information with mobi.Result, users can see how investments in personnel, equipment, time, and money are influencing the bottom line. mobis GPS analytics allows users to see key metrics, such as cost-per-visit and revenue, and easily identify variances between actual and planned performance. With reliable, actionable information about operations, users can discover the impact customers and drivers have on revenue and cost. MobiWork MWS® The Complete Mobile Workforce Solution MobiWork MWS® is a complete smartphone and cloud-based mobile workforce management solution that is built for any business with employees in the field (Field Services, Logistics, Field Sales, Field Marketing). MobiWork MWS® is available as a generic solution or on a pre-configured basis for specific industries and use cases. MobiWork MWS® gives you full access to the entire MobiWork platform and it includes all the other MobiWork solutions. Motion Kinetic is a software solution for capturing inspections, that helps manage and optimise your inspection procedure while managing processes and allows report data to flow between inspectors, admins, and customers. Field Work Made Easy With Motivity Workforce. With mQuest , employees in the field work have an overview over all orders and procedures. All processes are completely documented with digital checklists and protocols. MyTaskit solves local service coordination through innovative task sharing for service professionals and consumers. Nexterna Clearview is a powerful service management application you can put to work for you. It is feature rich, flexible and responsive, putting the power of real-time communications and information in your hands, tailored specifically to your corporate needs. A cloud-based field service management solution able to manage every aspect of users service business. Built for NetSuite, it is accessible anywhere, through laptop, tablet and smartphone devices. Robust features, incredible flexibility - NextService is designed to meet the needs of field service organizations both large and small. NextService creates a one system solution thanks to the native integration within NetSuite. View all your MS4s sites in map view centered on your municipality. Interact with the map to get started inspecting sites. Service management application for managing work orders and service requests. Includes self-service portal for requests submissions. Nspector is the easiest, most customizable home inspection software available. Nspector provides an easy to use interface with text-based report generation. Field service management software helps businesses manage all the resources that go into the process of field service management. Since field service workers are often given a variety of tasks to complete, field service management software can help workers visualize the goals they need to accomplish on a day-to-day basis as well as assist them with project management. Field service management software will make your business more agile and efficient. Field service management software provide features that dispatch technicians, schedule workers, track employee location, and access work, all via a mobile app which can vastly improve time management. Your company can also set key performance indicators within field service management software which will help your team track and manage annual goals. Field service management software is used by anyone working in field services. This can include construction workers, electricians, plumbers, landscapers, energy workers, security managers, technicians, and any other workers that shift between offsite and onsite locations. Field service management software helps streamline the day-to-day operations of field work by improving communication between the onsite and offsite locations that field service workers must shift between. In a field service such as construction, for example, a manager can deploy his workers into an offsite location and then track and manage his workers during the day via the field service management software. Cloud Based — Cloud-based products store data remotely, allowing access by multiple users at a given time. Cloud storage also prevents data loss due to the malfunctioning of a computer or device, which is beneficial to businesses with a large number of technicians in the field. Many cloud-based products are also priced on a monthly subscription model. On Premise — On-premise solutions are more customizable and sometimes offer simpler integrations with already established systems. These products are often cheaper over the lifetime of use because they are one-time purchases. This can be a good choice for businesses where there are customizations needed to meet business processes. Work Order Management — Field service management software offers work order management solutions. This allows field service managers to manage all work order history in an easy-to-read dashboard. Work order management also helps field service workers place service requests and monitor real-time status updates. This helps to make repair and maintenance more efficient within the field. Scheduling features — Field service management software offers scheduling features to help with project and employee management. You can schedule routes and work schedules for your field service workers months in advance so they can see their work ahead of time and make necessary arrangements in their schedules. Dispatching — Field service management software offers dispatch management services that help with the logistics of planning routes, choosing the right facilities, and ensuring that assets are used optimally. Dispatching features can help workers in the trucking industry find optimal driving routes that have low traffic, which can help them complete their tasks. Invoicing — Field service management software offers invoicing features that help manage field service sales transactions. This feature includes immediate invoicing direct from the field technician who completed the work to your customers, achieving a more streamlined, quicker payment cycle. Mobile Apps — Mobile apps help managers oversee field services on the go. Field service managers can monitor their workers, dispatch fleets, and schedule work for employees while they are travelling from site to site. Quote estimates — The quote estimator feature helps prospective clients get a price estimate which will help them with the decision to move forward with your service. Once you send out an estimate to a client, they have the option to accept or decline. If your client accepts within the quote estimator, you can start making the necessary arrangements to begin field work. Automation — Field service management software is automating more and more tedious tasks. Most of the automation applies to backend operations such as scheduling, dispatch management, contract, SLA and warranty management, and inventory management. The trend of automating these tedious tasks will help with streamlining the operational process. Predictive Maintenance — A major trend in field service management is predicting when repairs will need to be made. Lots of field service managers are connecting their field service tools with IOT management software. This helps them actively monitor equipment health and set up predetermined measures to prevent potential damage. Some IOT tools can even simulate normal device behavior which lets them compare against the current device’s health. This way they can see if field devices are in the best possible condition. Duplicate Entries — An issue that might arise from using field service management software is duplicate entries. Since field workers tend to write field reports manually, this can be tedious if they have to transfer them into the field service management software as well. This leads to wasted time and extra paperwork. Lack of Face-to-Face Communication — Managing your field workers through field service management software can leave no time for actual face-to-face communication. While field managers might feel as if they are managing their workers effectively through the cloud, it might lead to communication problems that would not arise if the problem was addressed face to face. If you are implementing a field service management software, make sure to provide adequate time to address important issues in person. Accounting Software — Field service management software often integrates with accounting software to streamline payment cycles. This usually includes invoicing payments, automating accounts payable, and giving quote estimates. CRM Software — Field service management software can integrate with CRM software for field managers to manage customer relationships. This can help field managers maintain relationships with recurring clients and gain leads on new clients that are in need of field work. PLM Software — Product lifecycle management software helps field service managers manage data during the development of a product from inception through the manufacturing, servicing, and disposal processes. Having PLM software integrate with your field service management software can help improve your equipment development as well as maintenance. GIS — GIS software usually focuses on gathering, analyzing, and displaying geographical data to manage business operations. This can help field service managers by tracking the location of fleets and locating where your field workers are in real time. It can also help field managers find the next location workers need to head to. If a project location changes, workers will be notified immediately so they can make the necessary changes.